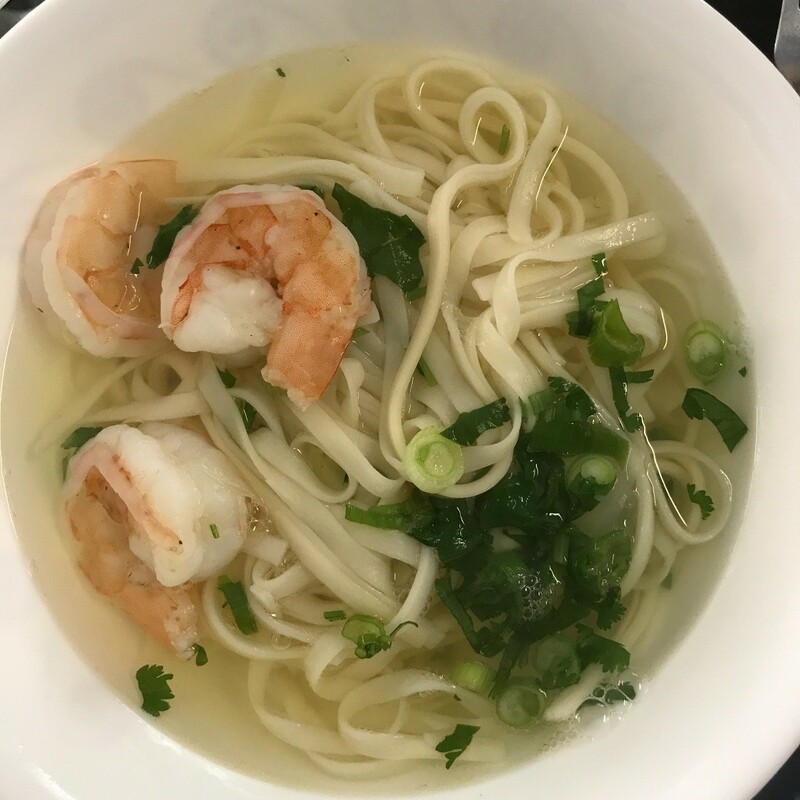 Try this savory chicken and shrimp soup with noodles, herbs and other Korean flavors. This guide contains a recipe for Korean-style noodle soup. This recipe will make at least 8 bowls. Perfect for families or small parties. 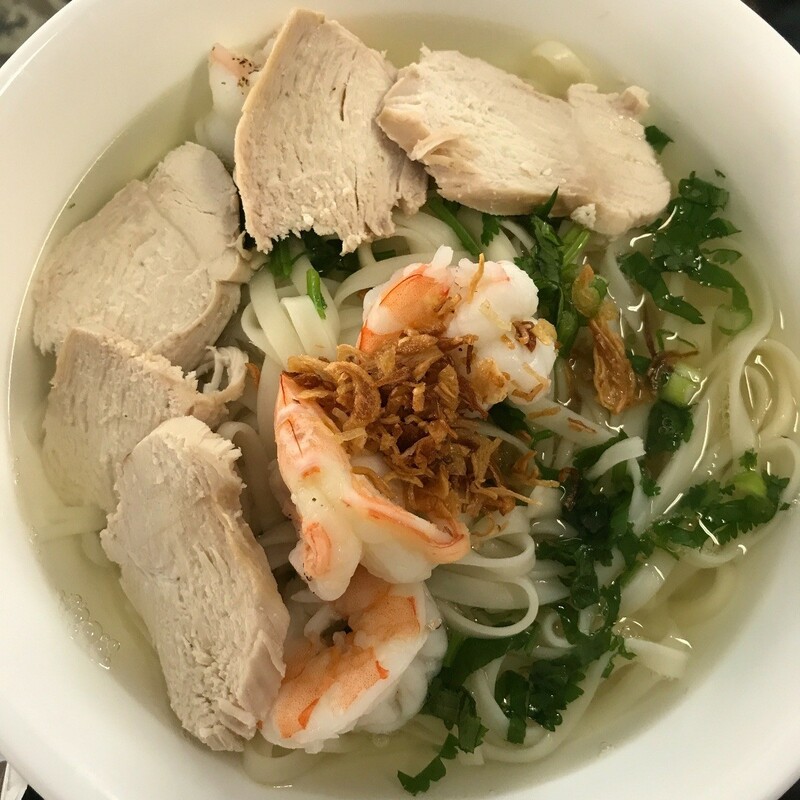 It is delicious especially in the cold weather, plus all natural and healthy for you! This is one of my favorite soups to eat year round. 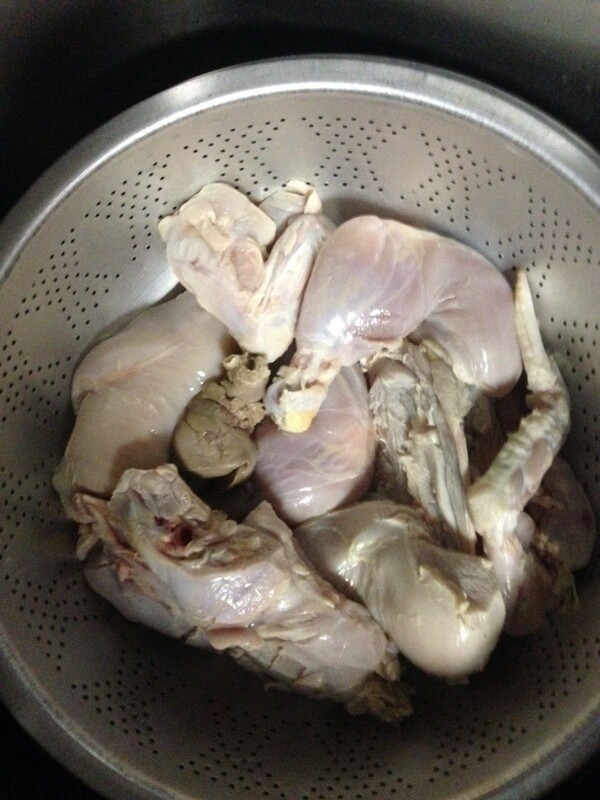 Clean the chicken with vinegar and water. Then cut into pieces. 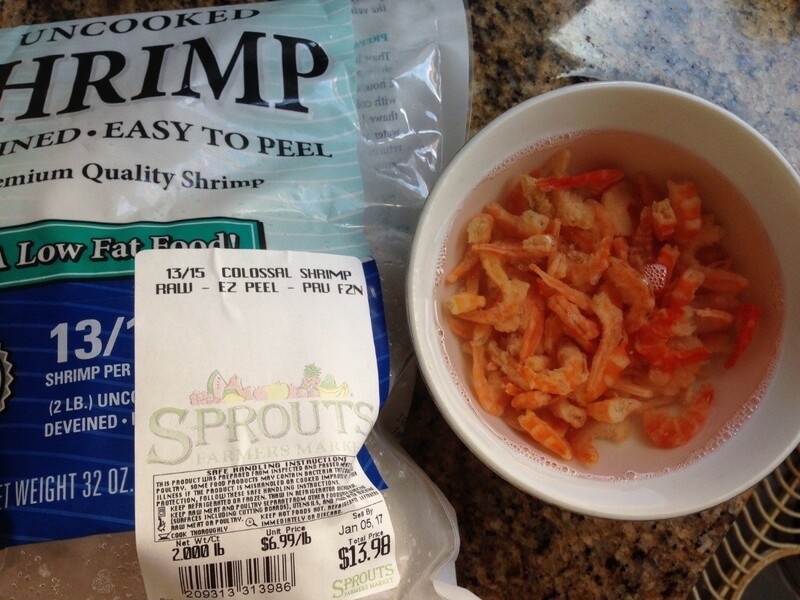 Put your dried shrimp into a small bowl and pour hot water over them shrimp so it will soften. Set aside. Wash onion and cilantro and then dice thinly. Set aside. Wash and cut daikon into big chunks. The daikon is to naturally make the broth base sweeter. Wash, peel and clean fresh shrimp. Sprinkle with a little salt and pepper then set aside. Take a whole white onion and whole garlic and bake in the toaster oven at 350 degrees F for 10 minutes. These are to use in the broth to enhance the flavor. In a large pot, put 1.5 gallons water on high heat until boiling. This process is about 5 minutes. 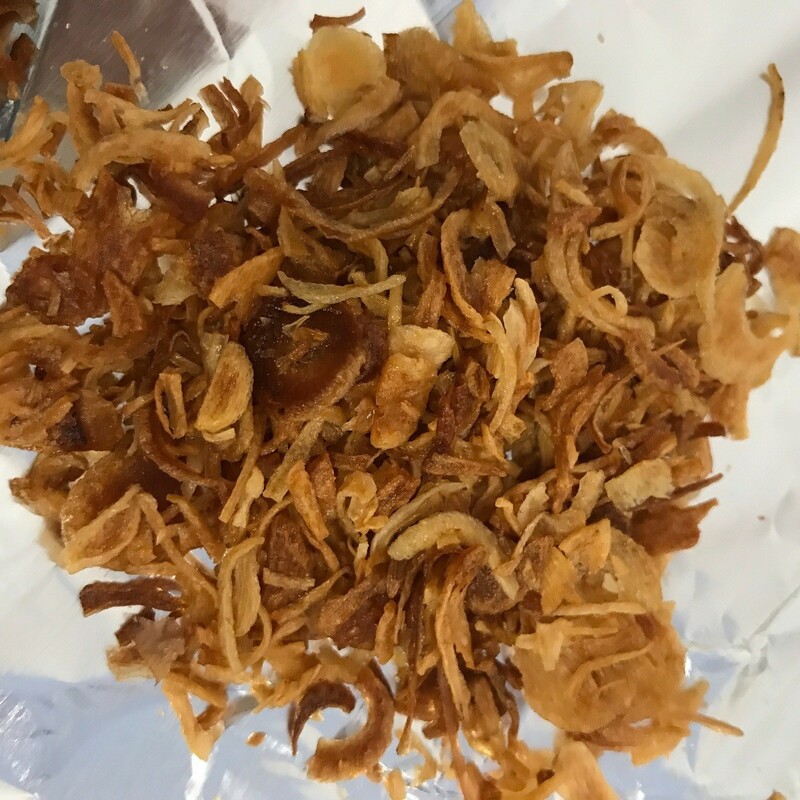 Once boiling add the white onion and garlic that was toasted, the chunks of daikon, dried shrimp drained, and pieces of the chicken. Bring it to a boil again. 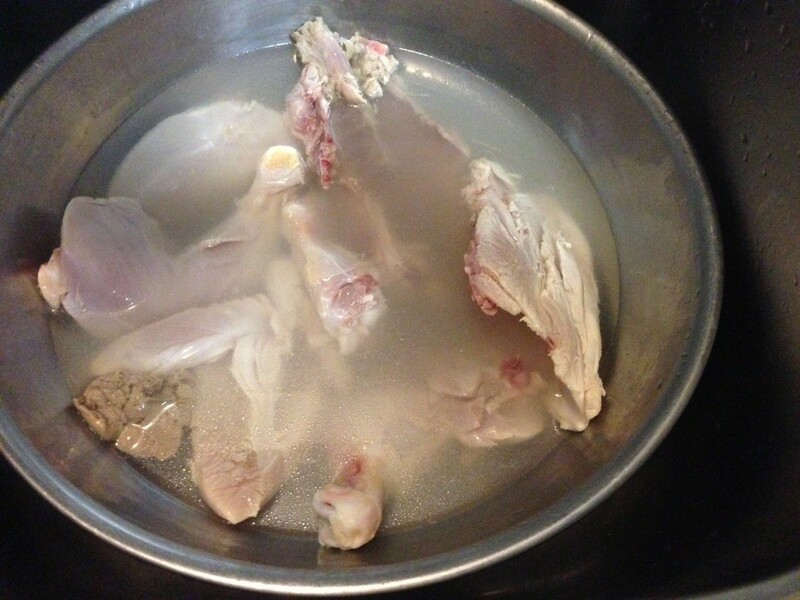 The bubbles of the chicken that float to the top contain the fat; use a spoon and scoop it out. This process is about 10 minutes. Lower the heat to medium, add salt, sugar, fish sauce and cook for 20 minutes with the lid close. 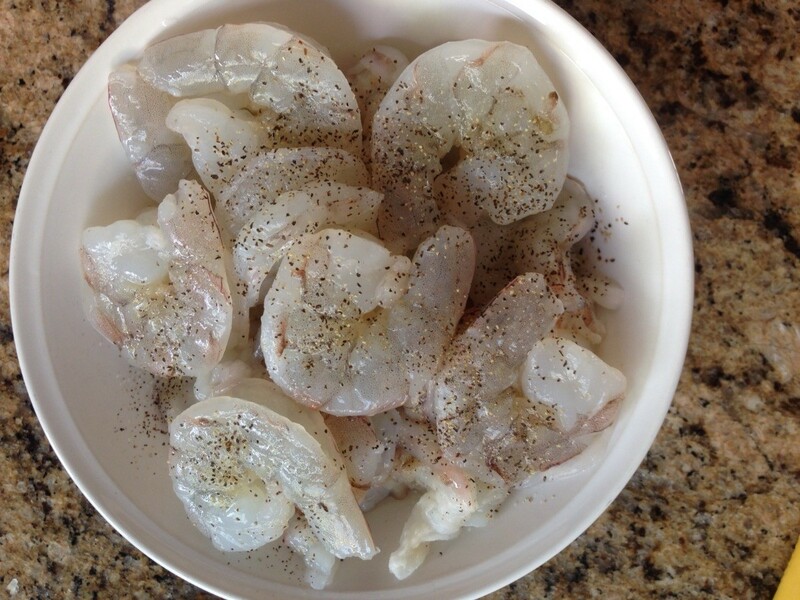 Turn off heat, add the fresh shrimp into the pot and cover the lid for additional 10 minutes. 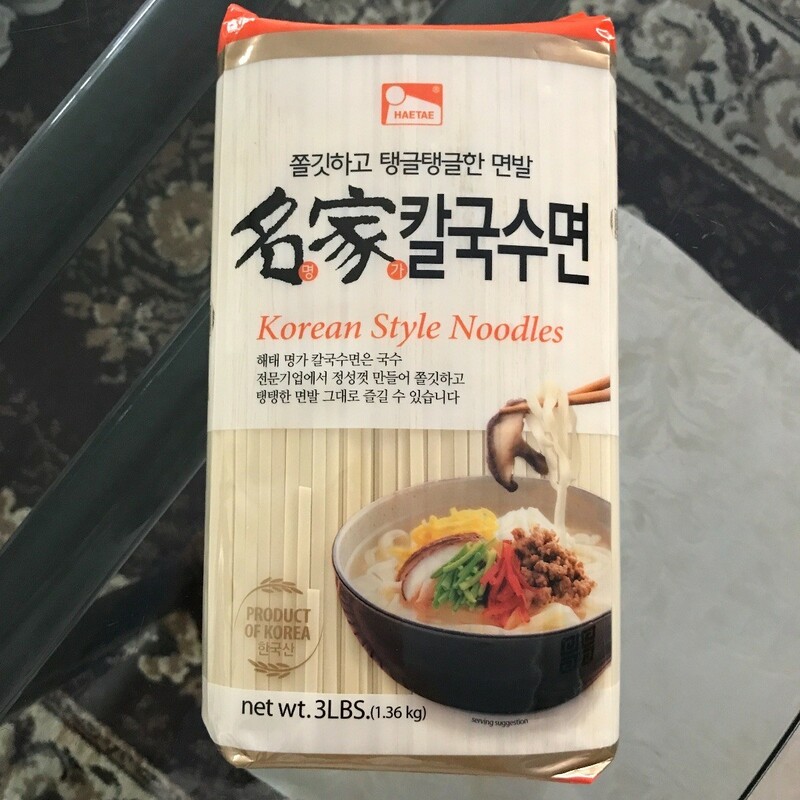 The Korean-style noodles I use, take only 5 minutes to cook. Follow the directions on the packaging, as it varies depending on type/brand. Boil water and add the amount of noodles you want to eat. Drain with cold water. 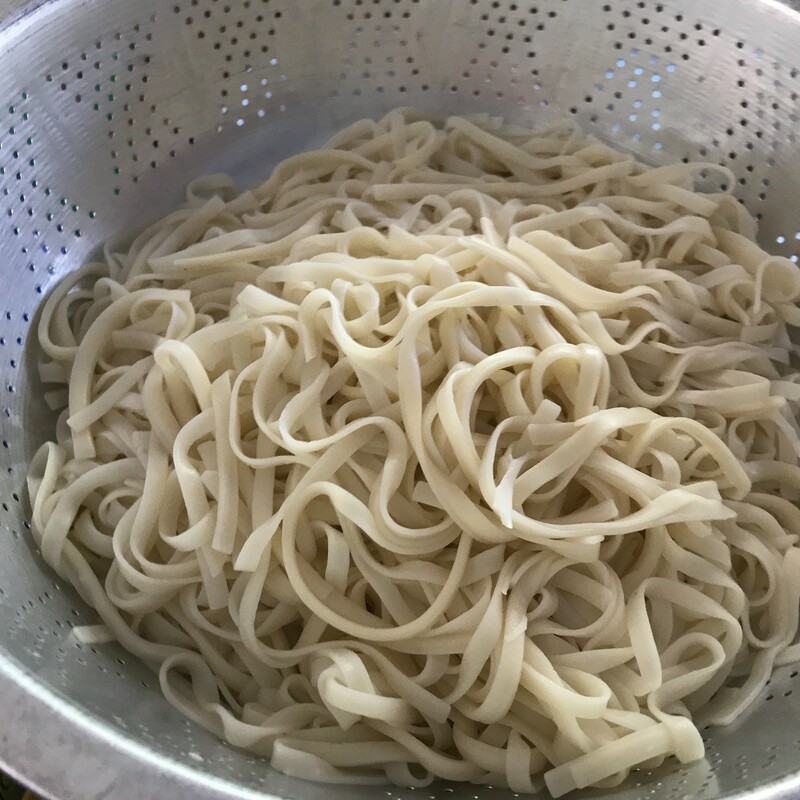 After the noodles are prepared - it is ready to serve. In a bowl, add your noodles then scoop the broth out from the pot. Top off with the diced cilantro. 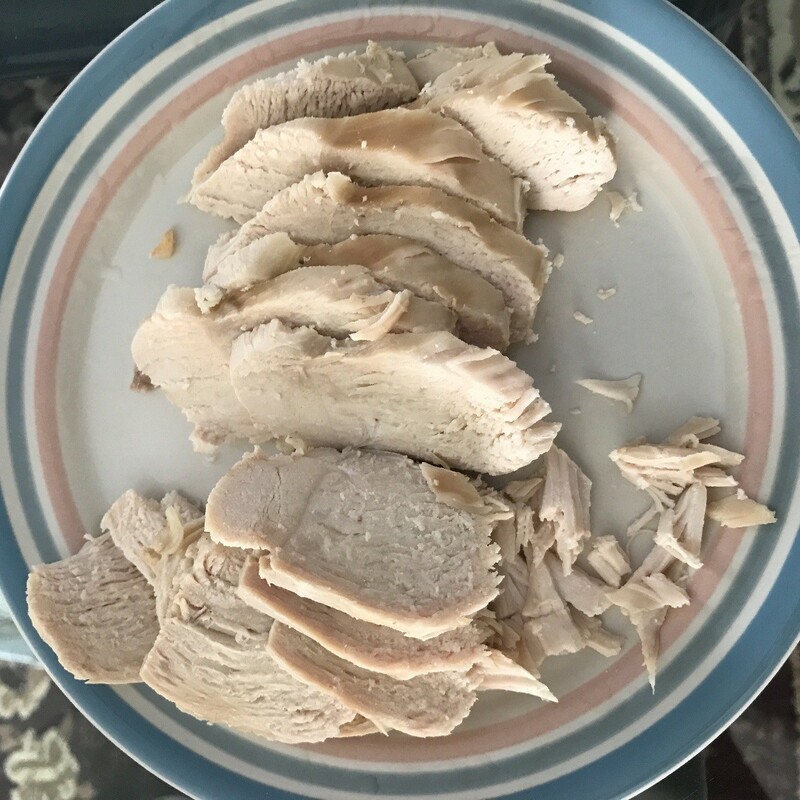 Optional: Add fried garlic that is store bought, and you can also slice the chicken breast or serve the chicken pieces whole.